“We are asking farmers to use inoculants and fertilizers while growing their soybean. We know some of the applied nutrients such as P and K remain in the soil as not all is taken up by the crop. We also ask farmers to rotate soybean and other crops such as maize and they also use fertilizers on the maize. So the question is how much fertilizer should the farmers continue to apply in subsequent seasons?” asked Freddy Baijukya an agronomist at IITA and Country Coordinator for N2Africa in Tanzania. “Can the use of inoculants reduce the use of nitrogen fertilizers? The trials will give recommendations on how to minimize the use of fertilizers by maximizing the fertilizers applied and inoculants,” Baijukya said while speaking during a tour of projects being supported by the Bill & Melinda Gates Foundation in the Southern Highlands of Tanzania. The team included Jeff Ehlers, a Program Officer at the Gates Foundation and N2Africa researchers/staff and partners from the Agricultural Research Institute at Uyole (ARI Uyole), IITA, International Center for Tropical Agriculture (CIAT), International Crops Research Institute for the Semi-arid Tropics (ICRISAT), One Acre Fund, and Farm Inputs Promotion Services (FIPS). 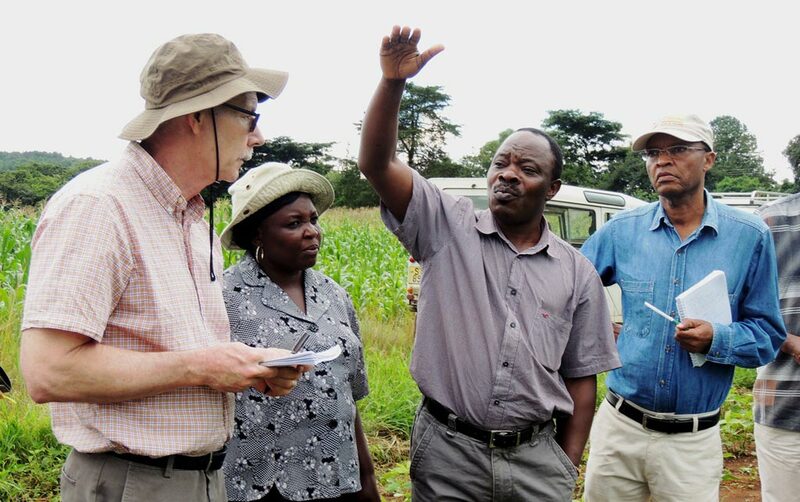 They visited the N2Africa field trials being conducted by ARI-Uyole and IITA in Mbeya Region. 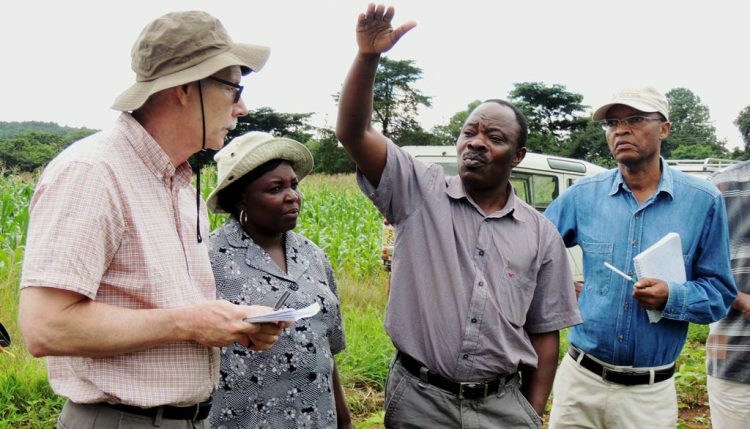 The objective of N2Africa or “Putting nitrogen fixation to work for smallholder farmers in Africa”, which is led by Wageningen University is to increase legume production in countries in sub-Saharan Africa to improve health and soils and increase the income of smallholders. In the Southern Highlands, the project is promoting the production of soybean and the use of inputs such as fertilizers and inoculants to increase production and productivity. The second trial visited was in a farmer’s demonstration field at Ivwanga village, Mbezi District being conducted by the Umoja farmers group in collaboration with ARI-Uyole and N2Africa. The objective is to allow farmers to select the most preferred soybean variety for official release in the region. “We are growing these three new varieties to select the one we prefer the most. As you can see some are already looking very promising. But we cannot tell for now until we harvest. Then we will see which will have the best yield and we will recommend this to the researchers,” explained Joseph Mompesh, a lead farmer who acts as a link between farmers and researchers. According to Jeff Ehlers from the Gates Foundation, these were very important activities in efforts to promote the production of soybean in the country and that the Foundation was pleased to help support the efforts by the Tanzania Government to tackle poverty and malnutrition through this initiative.